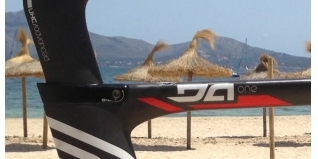 This weekend (read the preview HERE), 'Sportie Doc' Tamsin Lewis (www.sportiedoc.com) will be one of several British Pro athletes racing at what looks as though it will be a very competitive Ironman 70.3 Mallorca. 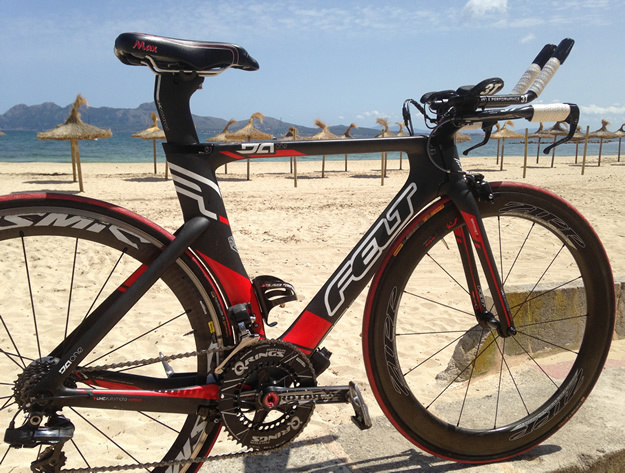 The race will also be the debut for her new race machine - the Felt DA1. 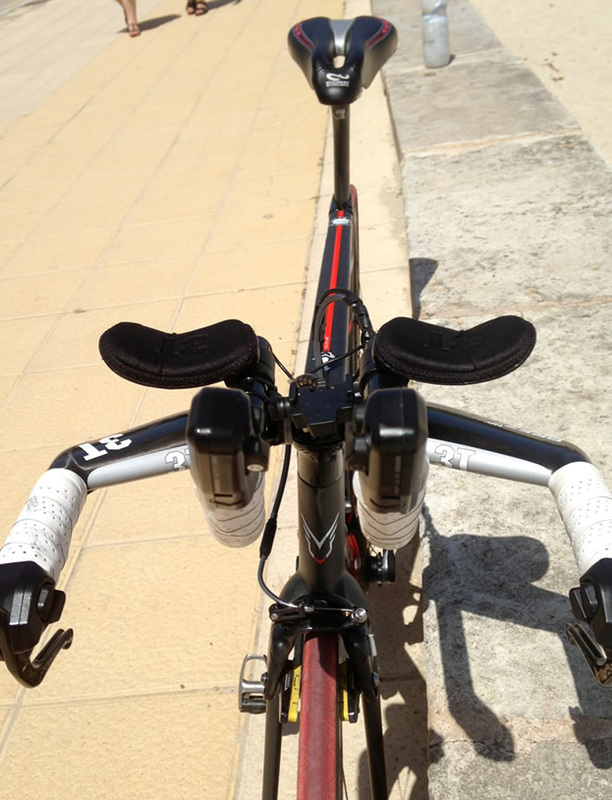 Here is a closer look at the bike that Tamsin hopes to be riding to success in 2013. The rear wheel shown here is for training - the Mavic Cosmic Carbon includes a PowerTap hub and the front wheel is a Zipp 404 clincher. 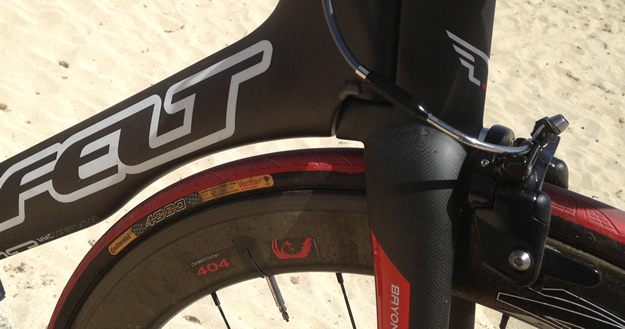 On race day the rear will be replaced by a Zipp Firecrest 808. 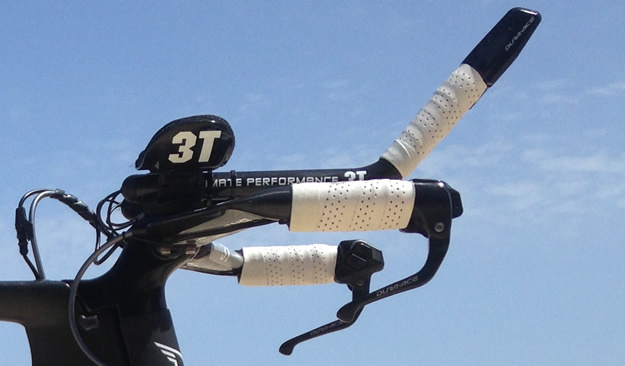 The down tube of the Felt aero range includes a significant cut out for the front wheel. You can also clearly see the integrated Bayonet fork. The model name on the top tube. 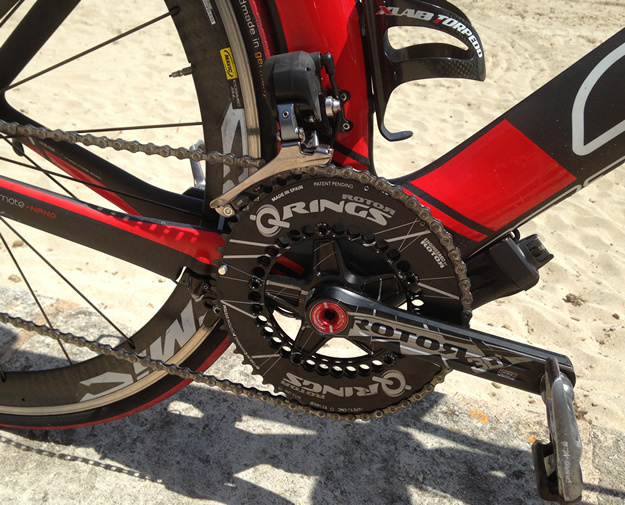 Tamsin currently uses a ROTOR 3D crank with Q-Rings - the cranks are 165mm. Hopefully her ROTOR power cranks will arrive soon. You can see the Shimano Di2 battery behind the crank attached under the downtube. Saddle comfort is everything - and Tamsin chooses the Cobb Cyling Max saddle as her perch. Tamsin is also grateful to her coach Tom Bennett of T2 Coaching (www.t2coaching.co.uk) for getting her to the start line fit and healthy - baring disasters aver the next couple of days! The 3T bars and extensions - the cabling is not quite as tidy as possible, as Tamsin has the original Di2 and one of the original connector cables is no longer manufactured. The handlebars are the Brezza Nano model, an ultra-narrow version of the Brezza - which means that the base bar is just 30cm wide to assist with aerodynamics. Tamsin says she finds the handling of them fine. A front end look at the Felt DA1. You can see the Shimano Di2 shifters on the extension and on the drops to aid gear shifting whether on the drops or in the aero position. 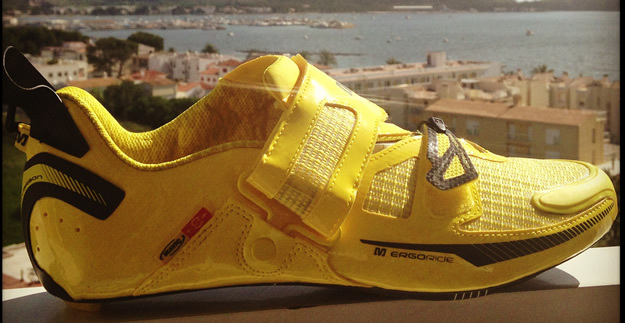 Apparently all women like expensive shoes...these are the Mavic Tri Helium in a rather bright yellow. Tamsin Lewis with bike and shoes in the colours of her sponsor, Pearson Cycles.